Cameras Downunder Gallery - 35 Millimeter/Adox-300 Magazine camera. Germany. Adox-300. 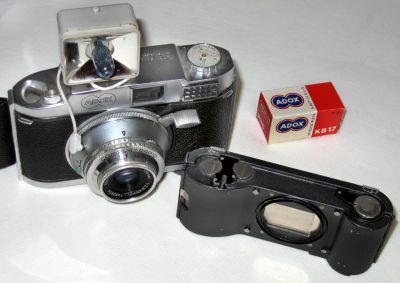 interchangeable Magazine camera. 35mm Interchangeable magazine back. large leaver for film advance round the lens. build-in Meter. made by Adox Germany ca.1956.